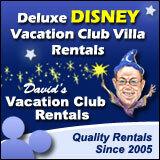 Save on Mobility Products with Buena Vista Rentals - DVCNews.com - The essential Disney Vacation Club resource! 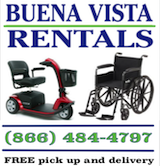 Buena Vista Rentals is one of the leading providers of scooters and other mobility products in the central Florida area. 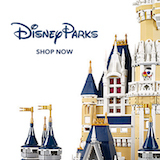 The company is a featured partner of the Walt Disney World Resort who has been servicing guests for more than a decade. All rentals include free drop-off and pick-up from resorts at Walt Disney World, Universal Orlando and most surrounding hotels. Products can be rented for as little as one day. Frequent Florida guests with their own scooter can store it at Buena Vista Rentals for a rate of just $20 per month. The storage service includes free delivery and pick-up along with diagnostic services performed by an experienced staff technician. Looking to buy a scooter? Used scooters are available for purchase with prices starting at just $400. For personalized service call 407-331-9147 and ask for Matthew, or click on any of the Buena Vista Rentals banners (like the one below) to be redirected to their website. 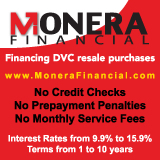 As a bonus to DVCNews.com readers, those accessing the Buena Vista Rentals site via any of our banners will save 10% off standard rental rates for some of their most popular products!